By now a lot of individuals know that outmoded storage tank water heaters are not efficient in the way they supply water in the home. While they are reliable and affordable, they end up costing more in their operation than their more efficient, modern counterparts. However, most of the focus on the alternative is given to the tankless heating systems. While this may be understandable due to the tremendous advantage of savings that the units provide to homeowners, there exists an option that offers a lot called hybrid water heaters. The hybrid water heaters are viewed as a comparison between tankless systems and outmoded storage models. They provide a lot of savings when it comes to energy, just like the tankless unit, minus the exorbitant costs that are associated with the tankless system. 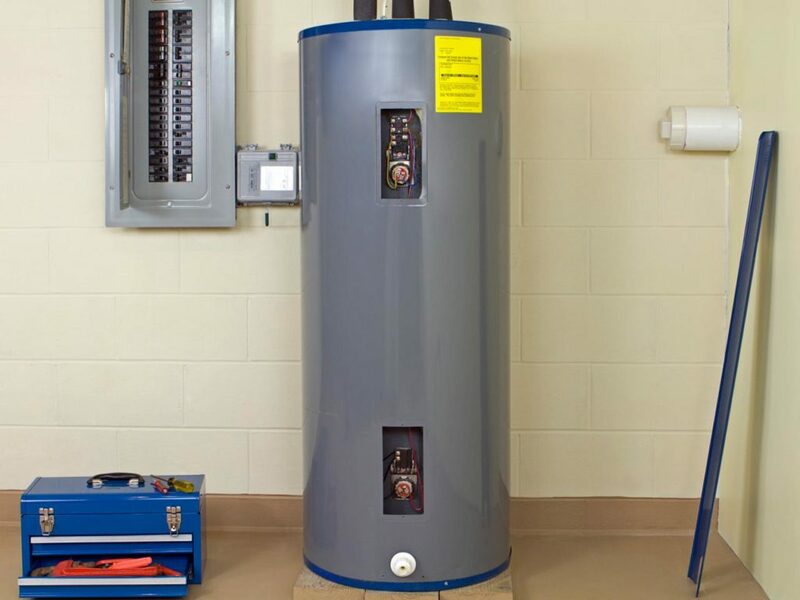 Some of these systems have the design of connecting like the old electric unit meaning the installation is similar to the one in the traditional tank storage unit. What makes these systems hybrid water heaters is that they combine their best water heaters with the benefit of the electric water heater for climates where the normal heat pump design cannot supply the required water amount. This gives homeowners the benefit of reducing monthly electricity charges while possessing enough water for daily requirements. It is estimated that the majority of homeowners replacing their old units with the new one will realize the benefit in three years. This might be optimistic but illustrates the substantial savings that can be made. Many people know how a storage heating unit performs. They fill tanks with water, heat it, and reheat it until when it gets used. The tanks have insulation which makes the whole procedure very efficient, but the required wasted energy to keep the water hot and ready for utility is quite unnecessary. On a monthly basis, homeowners waste so much money and more than ten years of the life of water heaters and this may add up to thousands of bucks. Hybrid water heaters have the design of using the heat pump to pull heat from the air. The heat then gets processed with the compressor and then used to heat the contents of the tank. This is very close to magic in the real world. The only drawback is the climate which needs to supply sufficient warm air for the whole year. For a heat pump system rated one hundred percent, you will have to stay in an extremely warm climate. When you combine these technologies, you will end up with an efficient design with an electrical backup to get the best from these worlds. Therefore, the next time you are on the market for a novel water heater, look for info on hybrid water heaters options for your home. They offer fantastic savings and are affordable with a positive energy saving rating. You will end up saving a lot of money depending on the usage per month or year. Manufacturers have made so many advances in technology in these water heaters. They are not the typical oversized tanks that contain heating elements so as to heat water. Older models are not efficient to energy at all and could end up costing a lot of unnecessary money on heating bills. Novel models are very efficient to heat water and models that are energy efficient are provided with tax reliefs from governments. Majority builders usually install cheap hybrid water heaters when building the home. They do this so as to save money at their cost. The units are either very small for the current task or are wrong models altogether. Small homes that only have one bathroom will benefit from the tankless hybrid water heaters. They are on-demand heater units that supply heat when needed by family members and appliances. They no longer get frowned upon in areas they do not offer enough water when needed. They are also used in large homes as you may link them to give enough water for three bathrooms.